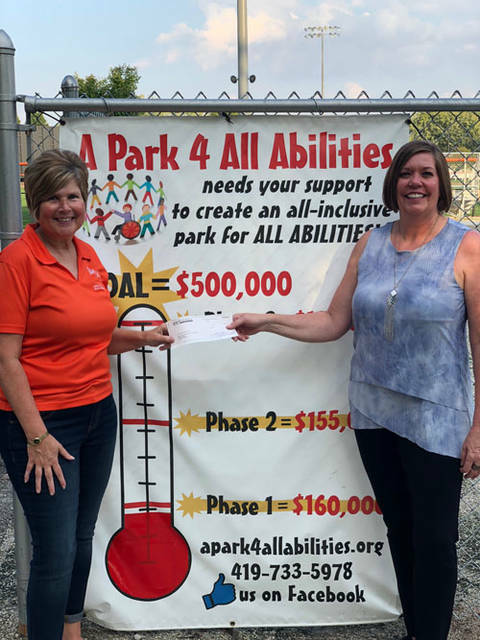 Mercer Savings Bank employee Carmen Meyer selected A Park 4 All Abilities to receive a $200 donation as part of the bank’s Mission of Giving. 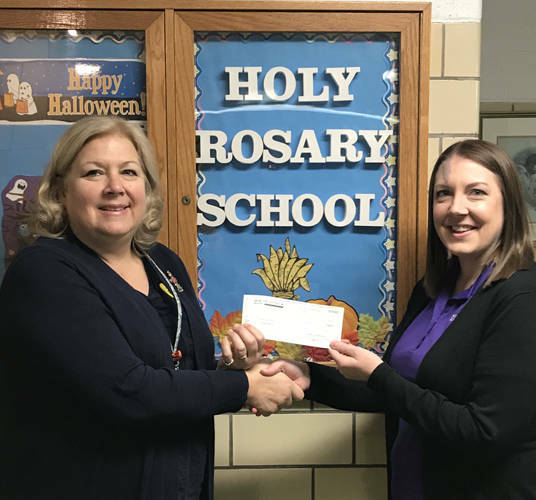 Mercer Savings Bank employee Emily Casebolt selected Holy Rosary School to receive a $200 donation as part of the bank’s Mission of Giving. CELINA – As a mutual bank, Mercer Savings Bank always has been deeply rooted in the communities it serves and, as part of that, believes that reinvesting in those communities should be a large part of its mission. Through its giving mission, each month three employees will be selected to choose a charitable organization to receive a $200 donation. Employees are requested to choose organizations that exemplify the values of the bank as a whole. A Park 4 All Abilities was Carmen Meyer’s choice. Holy Rosary School was Emily Casebolt’s selection. The Dan Thobe Benefit was Anthony Chappel’s selection. To find out more about Mercer Savings Bank and what it has to offer, stop by one of its locations in Celina, Fort Recovery or Greenville, call 877-672-4543 or visit mercersavings.com.